Originally published in 1994. 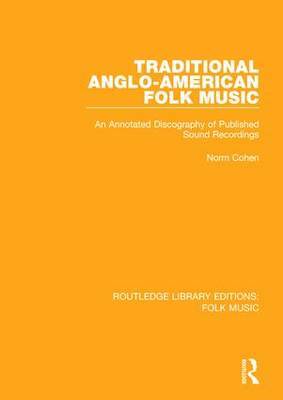 Filling a gap in the sound recordings of traditional Anglo-American folk music this volume covers both vocal and instrumental material from the 1920s to the 1990s. The listings have also been limited to performers native to the tradition rather than "revival" performers. The album selection is grouped into field recordings and commercial (pre-1942) recordings, with subdivisions into individual recordings or anthologies. The discography not only reflects its author's in-depth knowledge of Anglo-American folk music's historical development but charts a valuable step forward in the evaluation, as well as select lissting, of available sound recordings.